SAUNDERS & WARD Pty Ltd is equipped to perform a wide range of steel fabrication and general engineering work in-house - all done to strict quality and performance guidelines. Our steel fabrication workshop and machine shop can produce complete items of equipment, from the simplest to the most complex, without the need to outsource. 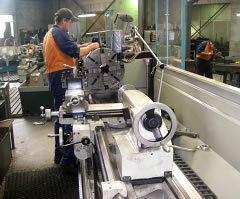 This saves you time and money, and enables us to pass on to you the benefit of a quality-controlled finished product. 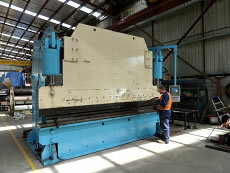 CNC 400 tonne brake pressing up to 16mm thick x 3700mm. 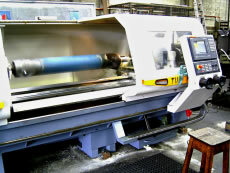 CNC milling machining up to 2600mm x 1500mm x 1000mm. 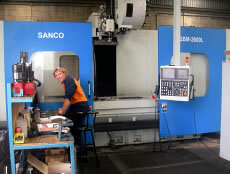 SAUNDERS & WARD has a modern CNC profile cutting machine which can provide a complete steel processing facility for all maintenance and project requirements. This CNC profile cutting machine (3300mm x 12700mm bed capacity), incorporates high performance CNC plasma cutting of mild steel, bisalloy and stainless steel grades of plate up to 50mm thick. This gives laser-like quality at a fraction of the price. Holes in cleats and base plates can be plasma-cut to a fine tolerance. 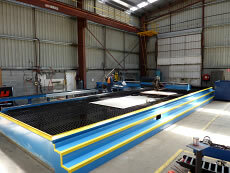 CNC gas cutting up to 200mm thick on mild and bisalloy steel plate grades. SAUNDERS & WARD is committed to customer service. Service is the key element in every part of our business. The loyalty of our customers over the years has been the result of our quick response to their needs, whether it be breakdown maintenance or project work. By performing both fabrication and machining work in-house, Saunders & Ward can maintain a high standard of quality, with fast turnaround, all at a competitive price. 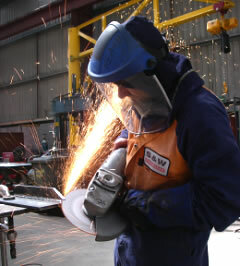 We would be pleased to provide a quote for your steel work or maintenance. Saunders & Ward are also specialists in manufacturing storage tanks, pressure vessels, hoppers and chutes, conveyors, mine machinery, logging equipment, tunnel boring equipment, marine and aqua-culture equipment.